Rwanda Business Development Fund (BDF) will this year double funding for small and medium projects with a focus on projects proposal from fresh school graduates. 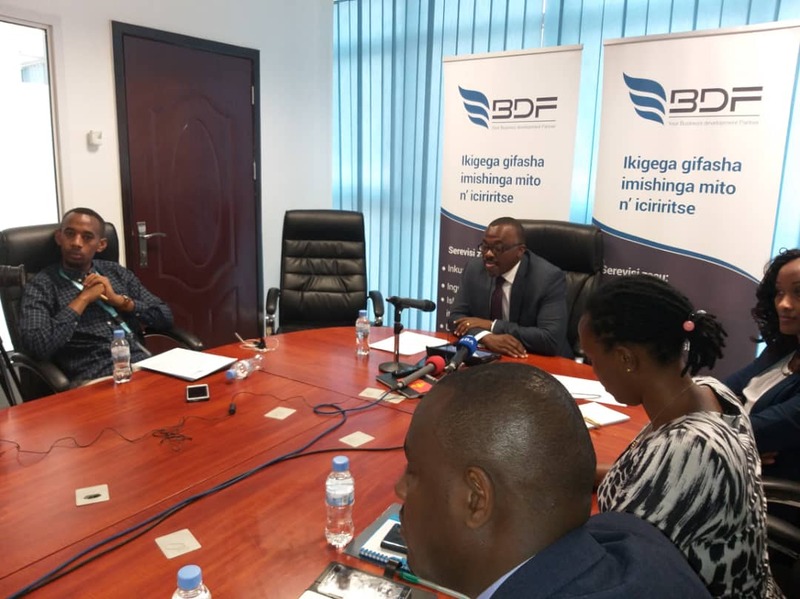 During a press briefing on Thursday, January 31, 2019, BDF announced plans to support 4826 projects worth Rwf11.5 billion this year, compared to 2083 bankable projects worth over Rwf11 billion last year. “This year we are focusing on projects proposed by youth graduates because their budgets are not big, at least Rwf6.5 million on average and this will give us flexibility to provide funding and guarantee,” said BDF Chief Executive Officer, Innocent Bulindi. Bulindi stated that this will not change the requirements and procedures of funding projects, but increase the number of jobs created annually and solve youth unemployment gaps. “Those requiring more funding up to Rwf500 million limit will not be excluded in this process, but our target will be mainly the youths,” he said. In Sub-Saharan Africa, more than 60 percent of a 1.2 billion population are under the age of 25. Currently, Rwanda’s unemployment rate stands at 13.2% and the government has targeted to create 200,000 jobs every year and 1.5 million off-farm jobs in its seven-year program. According to the latest Integrated Household Living Condition Survey (EICV5), poverty decreased to 38.2 from 39.1 in the previous EICV4 – representing a decline of 0.9%. One of the key measures to deal with poverty, according to Prime Minister Dr. Edourd Ngirente, is to put a focus on the youth who contribute 70% of the country’s population. “Special attention will be put on our youth that constitutes about 70% of our population and therefore our strength to drive Rwanda to a knowledge-based status,” Ngirente said at the launch of the study last year. In the meantime, the government plans to increase the rate of students enrolled in Technical and Vocational Education Training centers (TVET) by 13.6% in the next seven years. This will bring TVET students to 60% of all students who have completed ordinary level from 46.4% currently.